Today I sold my first couple of t-shirts on a new shopping cart website that I had set up to help support and spread the word about hotboatdeals.com and boasty.org. 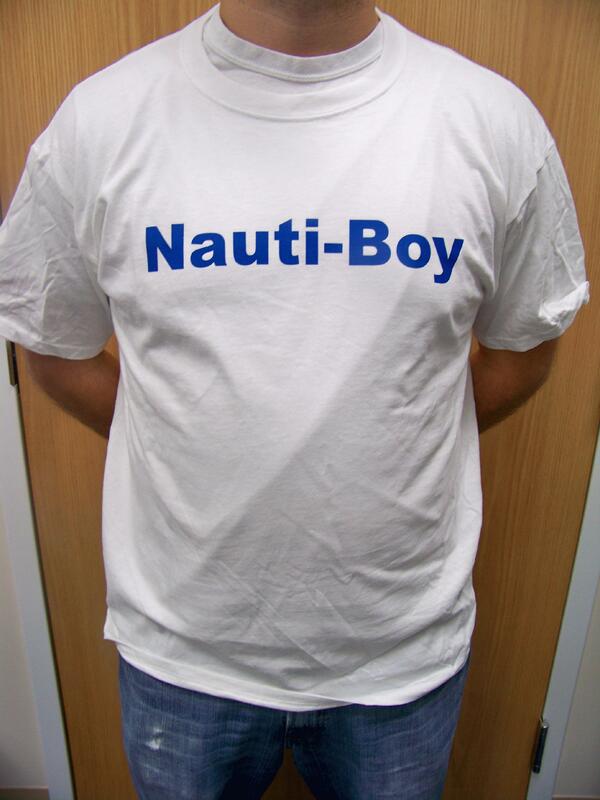 The first to go was a white as well as a blue t-shirt that says "Nauti-Boy" across the chest. They're pretty basic in nature but are good shirts made by glidden. I have several from BOASTY that are still in fine shape. 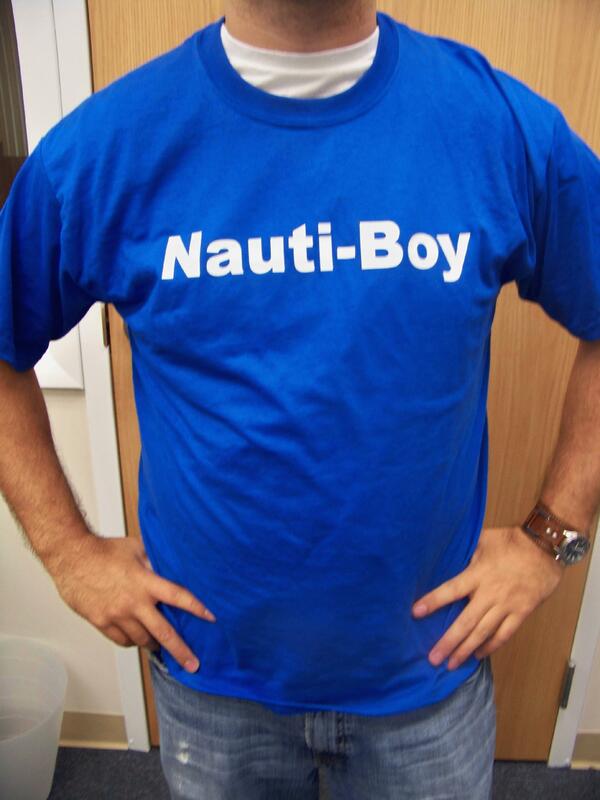 For the Nautical enthusiast, It's close to a must have! I plan on making more for myself to promote the line as well. If you're a fan of HotBoatDeals.com and want to help us succeed, hop on over to www.HotWearables.com and order a few.